ARLA understands that a good return on Investment is critical to a successful Advertising campaign. ARLA offers low cost advertising solutions to meet your needs. 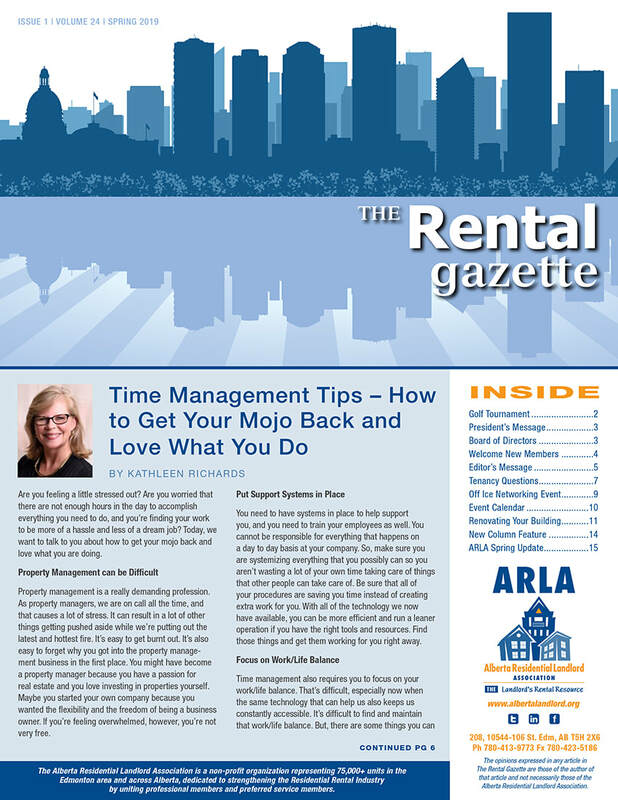 The Rental Gazette Newsletter provides its "Preferred Service Members" an opportunity to market its products and services to Residential Rental Owners, Operators and Property Managers who contribute in excess of $8.2 billion to Alberta’s GDP, and who employ more than 41,500 Full-Time Equivalent (“FTE”) positions in Alberta. Our readership is not limited to just its membership alone, the publication is circulated to landlords across Alberta, within Government departments, agencies, and other Rental Housing affiliations across Canada. The Residential Rental Industry generates more than $2.16 billion in government revenues in Alberta, and $2.54 billion in government revenues in Canada as a whole.